March 14 MP Ahmad Fatfat accused on Saturday PM Najib Mikati of using the turbulence in Tripoli for political gains, and held the cabinet responsible for the security of all politicians under threat of assassination, as he reaffirmed March 14’s call for a new neutral cabinet, naming former minister Adnan Kassar as the potential new Prime Minister. Fatfat revealed that members of March 14 were threatened either directly or indirectly, and were asked by Minister of Interior to limit their movements until further notice. “The cabinet is covering up for these assassinations in one way or the other,” Fatfat said accusing the government of faltering in its investigations. The Future Movement MP revealed that Mikati was negotiating the resignation of his current cabinet and forming a neutral cabinet in return for an agreement for a new electoral law that would allow the other team ( Hezbollah led March 8 alliance) to take over the country, a thing which Fatfat categorically rejected and accused the PM of sabotaging Taef Accord. “The Syrian custodianship over Lebanon was replaced with the Iranian custodianship, represented by the cabinet.” A possible reference to the Iranian and Syrian backed Hezbollah militant group which dominates the cabinet. Adnan Kassar is the Chairman and major shareholder of Fransabank SAL, Chairman of Fransa Holding (Lebanon) SAL and founder and co-owner of A. A. Kassar SAL, a trading company headquartered in Beirut. Kassar who was born in Beirut is a lawyer. 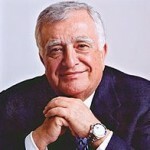 In 1999 and 2000 he headed the International Chamber of Commerce (ICC) based in Paris and present in over 140 countries. Adnan Kassar who was for three decades the President of the Beirut Chamber of Commerce and Industry , is today the Chairman of the General Union of Arab Chambers of Commerce, Industry and Agriculture. He was appointed as Lebanon’s Minister of Economy and Trade in 2004 and 2005, and Minister of State in the Government former Prime Minister Saad Hariri from 2009 to 2011.
the only way to stop the assassination is treat who’s plotting it with the same !!! other wise Lebanon goverment will never be able to stop it or bring the culprits to Justice especially when the planner is holding the country in his finger.Name one assassination that the culprit was broguth to Justcie , except Geagea wrongfully accused when syria had the cockroach Emile Lahoud a despicable person sitting in Baabda.Arabs and the word justice are 2 contradictary words, Arab history is full of plots and assassination with no ever ever brough to justice. Fatfat is a man with lot off guts!! he should be the PM actually!! !we need real man in this post,not a hypoctrite billionaire with a sneaky smile !! Those who want you to stay at home are setting up the stage to dominate!! !They accuse ,threaten,and spread fear and keep it alive!!! !